MSG Entertainment Knows How To Show Families A Good Time! At the end of July I got to go see my first show at Madison Square Garden. It was not Gaga, Ri Ri or any other fierce pop stars but, it was still pretty fierce. The show that I got to see was Walking with Dinosaurs. 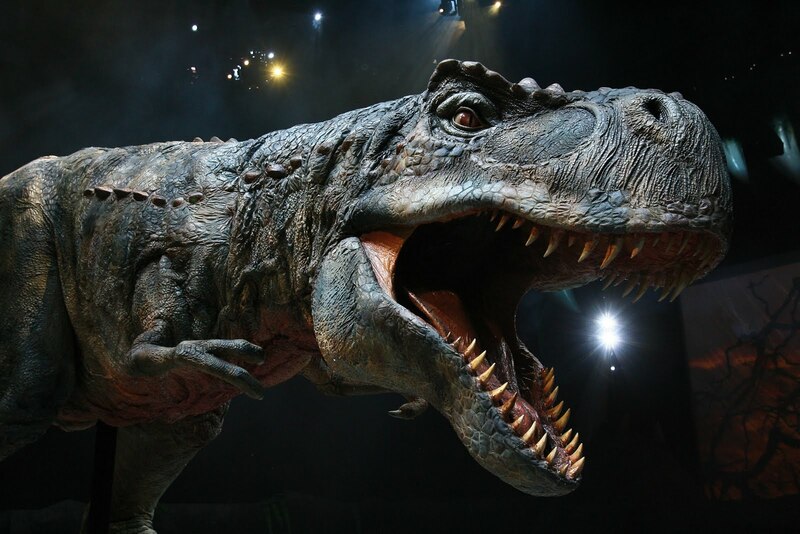 Above: Raptors prowl the arena looking for food in Walking with Dinosaurs. The show is obviously meant for families but it was enough to captivate and inspire wonder in people of all ages. Natasha Huang who sat right next to me was holding on to me and her chair the entire time. The one thing we both wanted was the foam dino heads that all of the kids were wearing. I don't think Natasha would have been as scared had she been wearing one. It was the perfect thing for families to do in NYC. I would warn that if you ever take your child to see this show, make sure they do not scare easily. Some smaller kids got very upset when the T-Rex roared at the end as it looked directly in the audience and the very load roar comes from the huge monster. (Natasha included ha ha) Also joining me to walk with the dinos was my fab publicist Sabrina Chapman who really enjoyed the special effect of the show. 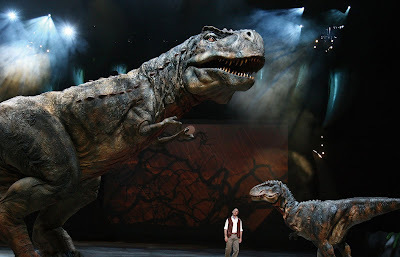 Above: Mother and Baby T-Rex with the host of Walking with Dinosaurs in the middle. 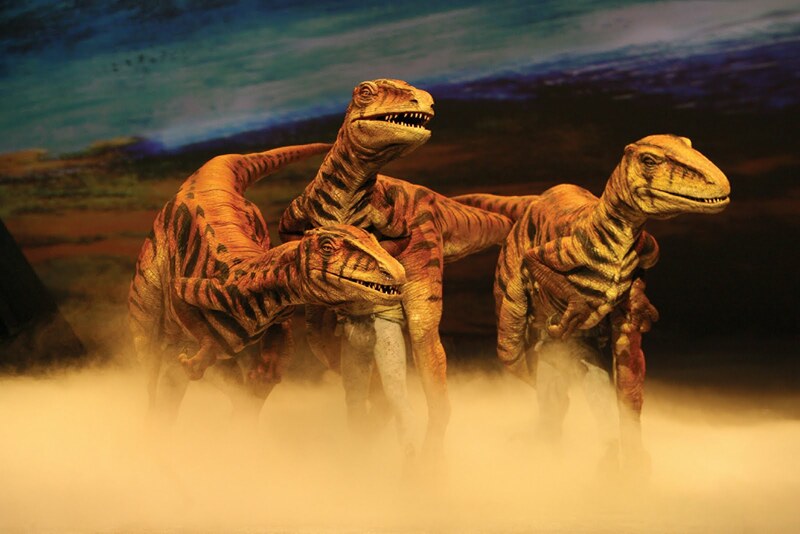 Although the show is not playing currently, MSG Entrainment provides amazing entertainment for the entire family all year long. Yo Gabba Gabba! Live will be happening in October and the LEGENDARY Radio City Christmas Spectacular will start up on November 5th! I really hope I get to see that this year! For more information on upcoming acts and family shows via MSG Entertainment, click here!